This post was written by my wonderful husband, Basilios. 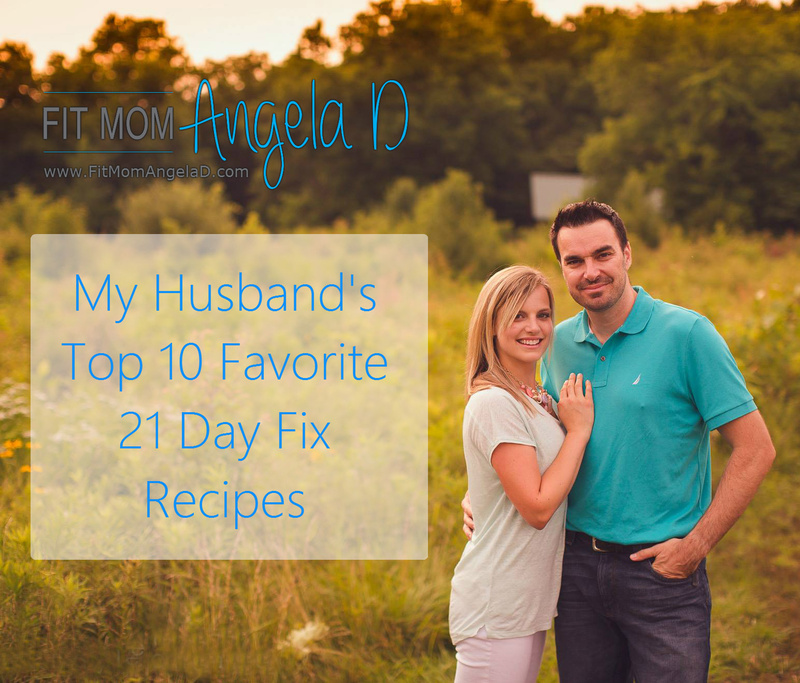 My Husband’s Top 10 21 Day Fix Recipes – here you go! It’s time to brag a little bit about my wife. I must say – I am the luckiest guy. About a year and a half ago, we made the decision that Angela was going to quit her job to become a full time stay-at-home mom to our two little boys. Staying at home may sound fun and easy, but it is no walk in the park. It is a “full time job” taking care of a toddler and a newborn. But that did not stop her from trying to find ways to earn an income. She asked me to help her build a website where she can share the healthy meals she prepares for our family. I agreed to do so under one condition: I asked her to only blog meals that I have tasted and approved — believe me when I say I am not shy when it comes to expressing my opinion if I don’t like something. You see I grew up as part of a Greek family with a Greek “Yiayia” who took pride in every meal she prepared. She then passed the torch to my mom who took many of those amazing, traditional Greek recipes and perfected them in her own way. In Greece, we lived off the land which has tweaked my tasted buds to be VERY well aware of what is fresh and what is not. It took me years once I moved back to America to get used to store bought produce. To this day, I have a hard time eating fruit just because it simply does not have any flavor if it’s not fresh and organic. So back to Angela. She has been doing the 21 Day Fix program since last Fall – I was a little unsure about the fate of my dinners when she told me she was starting this program, but have been pleasantly surprised by the meals she prepares with all of the fresh ingredients and whole foods. She started trying new recipes. This girl loves to plan. She does her research. whether the recipe is from a cookbook, online or an old family recipe, she began cooking and having fun with it – making each recipe her own by adding her own personal touch and at the same time making it as healthy as it could be to stay on par with the 21 Day Fix and her (our) new healthy lifestyle. This has truly been a lifestyle change for us – IN A GOOD WAY! 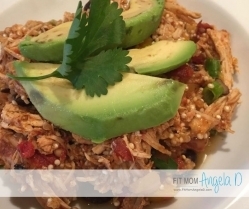 Angela is not only cooking healthy meals for our family, but she is exercising daily and just thinking positive, no matter what the obstacle, while trying to reach her goals. I come home every day and the house smells amazing! I mean how lucky am I? How often can someone say that he goes home and there is a warm plate with delicious food waiting for him. I am truly blessed. As I mentioned before Angela loves to plan. A big part of this lifestyle is to be organized and prepared ahead of time so then your week is planned out with less stress and to give you time to also watch the kids, take care of the house, get on Facebook (come one now you know we all do it). On Sunday, she will come to me and start throwing ideas of what she thinks of making and if I think I want to try it. To be honest, many times she will name what she is making and my reaction is not the most encouraging. But she proves me wrong with many of these as you will see from my list below. 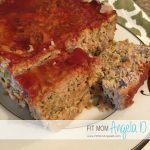 I have gone through her, now large, list of recipes available on her website (fitmomangelad.com) and selected my personal favorites. So even though I could write so much more about Angela and her greatness let me get to the intention of this blog. 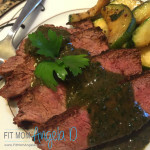 My Top 10 list of recipes by Fit Mom Angela D (aka my wife Angela Dimitrelias). At number ten, this traditional Greek recipe has been around for centuries, but not very popular around here. Funny thing is growing up my mom would have to force me to eat it but then when I left, I developed a craving for it. When I returned to go in the army lentil soup was served 3 times a week. Within a year I had eaten enough lentil soup to last a lifetime but then again I returned to the states and the craving came back. I asked Angela to try to make it for me and she did. Each time she made it a little different. She has perfected it. This soup has so much flavor and I would recommend anyone to try it although I must warn you, lots of iron and fiber in this one! At number nine, this Fiesta Shrimp recipe will catch you by surprise. Full of flavor and a bit of a kick to it but not too much. Great summer dish – even if you are not a big fan of seafood, this recipe may change your mind. Coming it at number eight is my second soup to make the list. This was one of those recipes where I heard about on a Sunday night and just went.. “Turkey?? Blahhh” I am not a big fan of Turkey but wow… there is so much flavor in this soup with all the fresh veggies, that even for me – a Turkey basher, I must say… hands down is a must try. Highly recommend for the Fall or Winter to keep your belly warm and full. At number seven, yes another Turkey recipe… Trust me folks! This says a lot for me to have these turkey recipes on my top 10 list. The burgers are AMAZING. Another hit with Angela’s touch to make it “Greek” is the tzadziki sauce which is the perfect compliment to this burger – so good you don’t even need a bun! The cabbage rolls at number six may make you say “huh?” But trust me! This could easily be in my top three. Once again you hear cabbage and immediately go in eye roll mode. But Angela worked her magic again. This recipe, like all the others, has flavor, is fresh and is different. Not what you would expect. I would pay to get this meal from any fancy restaurant. Fortunately I dont have to because Angela makes it for me here upon request and so can you. Like all her recipes, it’s easy to make and will not disappoint. If you like Bruschetta look no further. This is a perfect summer meal. Light up your grill, grab a beer and enjoy this meal like a king… or queen. Of all grilled chicken recipes, this is definitely at the top of the list. Wait a minute. Another turkey recipe? I cannot believe it myself but turkey is healthy, so coming in at number four on my list, this recipe produces some of the best meatballs I have ever eaten. This is one of Angela’s original recipes. She has been making the spaghetti squash lasagna for several years now. If you like Italian food, this is a good recipe to try. Now I will admit I am not a big fan of the squash but no worries it can be easily substituted with some whole wheat angel hair pasta and quickly make you thinking you paid $30 for this meal at Maggiano’s. Now this meal is just fantastic. A must try. It is hard to get the authentic Greek taste like you would back in Greece but the combination in this mix truly gives you a taste of Greece. This is an absolutely amazing recipe to try at home or to take with you at a cookout. Definitely a summer meal but who am i kidding here. I would eat this any time of the year. It is that good! Finally my most favorite Fit Mom Angela D recipe is the Cheese steak Stuffed Peppers. If you like cheese steak, specially Penn Station cheese steaks, then this may be the closest you will get to a homemade version. Angela substituted the bread with bell peppers. 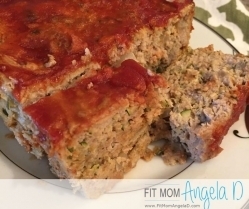 I was a little skeptical at first but after the first bite you will understand how incredibly tasty this recipe is and also healthy! If you are looking to surprise your husband with a meal I would stop right here click on the link below and start prepping. You will not be disappointed. I hope you are able to give some of these recipes a try. I know each person has their own particular taste and cravings, but I guarantee you this list has something for everyone. 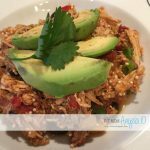 I am looking forward to updating this list or most likely having to expand it to a top 25 in the near future as Angela keeps creating great recipes and sharing them with you. Please like and share these with your friends and family. These recipes are not hidden in a secret book up in a dark cabinet. 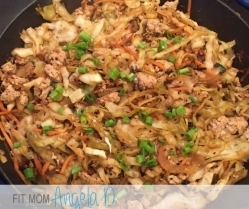 These recipes are happily shared by Angela and approved by me! I was looking for a veggie soup recipe to make for a non 21 day fix dinner guest. Found this on google. Made the veggie soup your husband recommended. And it got rave reviews! Definitely making more of your recipes! I just started the 21 Day Fix three days ago. I made the bruschetta chicken and OH MY!!!! My husband loved it, too!! I just ate the rest today for lunch. I didn’t have spaghetti squash so I made quinoa with garlic. Filled my belly? This website is too CUTE! I LOVE the fact that your hubby helped. I’m new to this clean eating ….you make it a bit easier. THANK~YOU for taking the time…..I am trying ALL of the top 10!!!! These sound great but how do you know what color containers these things go in? I love your recipes and especially love that they taste great and they follow the 21 day fit extreme! I am 3 days in to the 21 day diet. I can’t wait to try your recipes. I love that there not hard to make and everyone in the family can benefit from healthy eating. I love that you also give what categories they use for the day!! This is awesome! I’ve been looking for recipes my husband would like. He’s hard to please sometimes and doesn’t like change. So very glad I found this. And a plus is they all seem to cost just as much as the not exactly healthy foods I’ve been buying. Thank you so much for this! Is there somewhere that shows the container portions for these meals? Thank you!! I am restarting 21 day fix, but this time with my husband. So I’m excited to try your husband approved recipes. I’m currently eating the rustic turkey and veggie soup. Omg!! 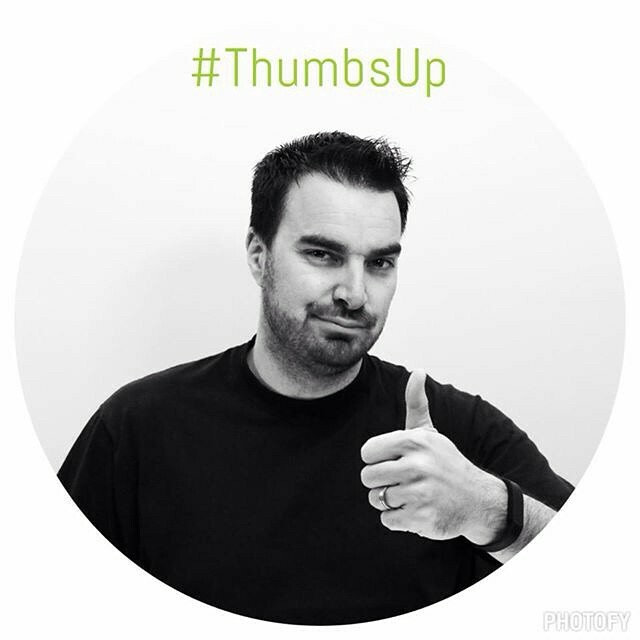 Definitely a thumbs up!!! 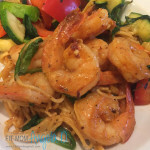 I surely will be sharing this link and making every single recipe!! Thank you for sharing!!!! This is so helpful! Most moms worry about meshing 21 DF recipes and their kids’ taste buds. I, however, am far more worried about keeping my man’s belly full, happy and healthy. Great to get a husband’s point of view!